Cox is a broad, flat apple and small in stature. The apple is pale green in colour. 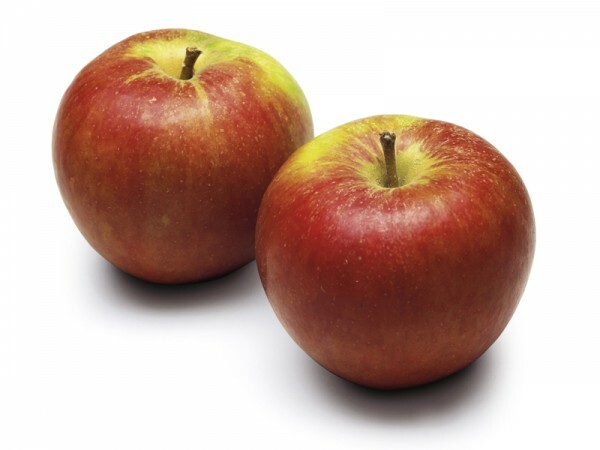 When the apple is completely ripe, the colour changes from yellow to orange-red blush and stripes. The flesh is yellow and firm. Cox has a pleasant sweet sour aromatic flavour and is a very nice eating apple. But also suitable as an additive in juices. That's because of its aromatic flavour. Not suitable as baking apple. Cox. O. P. is not grown in the Netherlands anymore. Available from mid-September to late December.